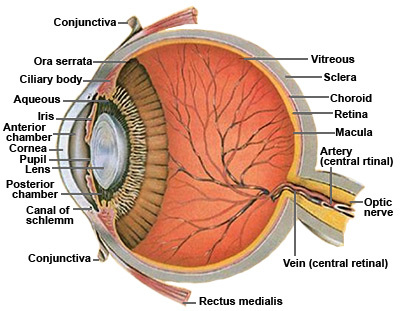 Give an account of salient features of ear in amphibia, reptiles, birds and, mammals. 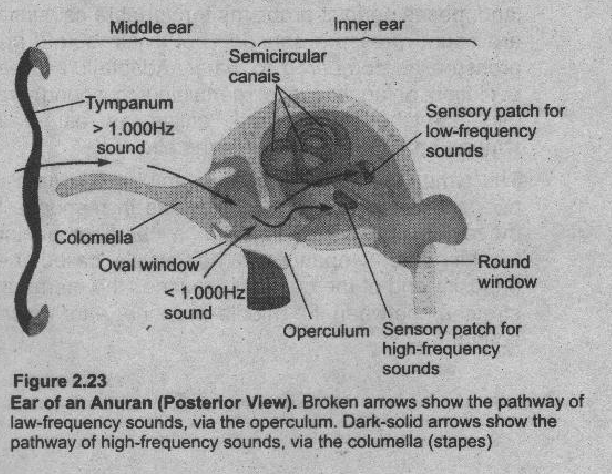 The ear in anurans (frogs, toads) is composed of a tympanum, a middle ear, and inner ear. Caudate amphibians (salamanders) lack a tympanum and middle ear (like fishes). They have no mating calls, and the only sound they hear are probably transmitted through the substratum and skull to the inner ear. The inner ear in fishes and amphibia is similar in structure. The structure of reptilian ears varies. The ears of snakes lack a middle ear and a tympanum. A bone of the jaw articulates with the stapes and receives vibrations from the substratum. In other reptiles (lizards and crocodiles), a tympanum may be on the surface or in a small depression in the head. Hearing is most developed in birds. Loose, delicate feathers cover the external ear opening. 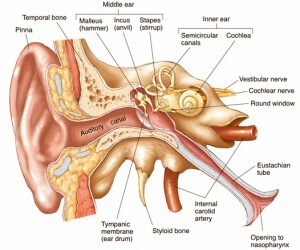 Middle and inner ear are similar in structure to those of mammals. Sense of hearing was also important to early mammals as is in present day mammals. Adaptations include an ear flap (auricle or [Anna) and the auditory tube (external auditory canal), leading to the tympanum or ear drum that directs sounds to the middle ear. In mammals the sensory structure of the inner ear is long and coiled, called cochlea, providing more surface area for receptor cells. Fig. 2.24.